[7 mins.] 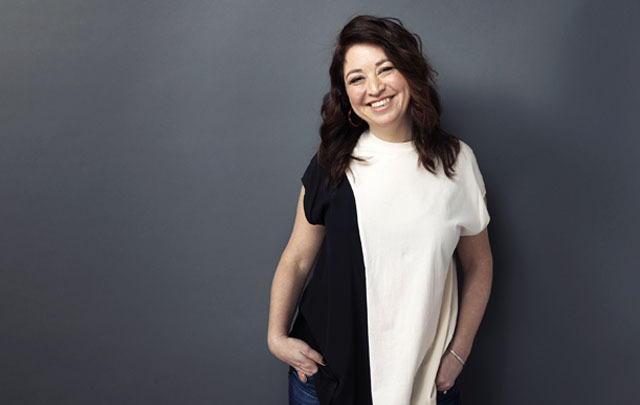 Documentary filmmaker Liz Garbus ("Bobby Fischer Against the World") is the guest on this episode of Filmwax Radio. Two-time Oscar Nominee, two-time Emmy Winner, Peabody Winner, Grammy Nominee, and DGA-Nominated director Liz Garbus is one of the most celebrated American documentary filmmakers working today. Garbus’ The Fourth Estate, a Showtime original, is nominated for a 2018 Emmy for Outstanding Documentary or Nonfiction Series. The docuseries follows New York Times reporters covering the Trump Presidency. What Happened, Miss Simone?, a Netflix original, was nominated for a 2016 Oscar for Best Documentary Feature, received a Peabody Award, and six Emmy nominations including Best Directing. It took home the Emmy Award for Best Documentary or Nonfiction Special. The film delves into the life of Nina Simone, drawing from more than 100 hours of never-before-heard audiotapes, rare concert footage, and archival interviews. Past work includes: A Dangerous Son (HBO, 2018), Nothing Left Unsaid: Gloria Vanderbilt & Anderson Cooper (HBO) which had its world premiere at the 2016 Sundance Film Festival, Love, Marilyn, which was a Gala Premiere at the 2012 Toronto Film Festival and released worldwide by StudioCanal and HBO. In 2011 her film Bobby Fischer Against the World opened the Premiere Documentary section of the Sundance Film Festival, and won a prestigious UK Grierson Award for Best Cinema Documentary and earned an Emmy nomination for Best Doc. Garbus’ first documentary film, The Farm: Angola, USA, won the Grand Jury Prize at the Sundance Film Festival, was awarded ten other festival and critics’ awards, and was nominated for an Oscar in 1998. Other films as director include: There's Something Wrong with Aunt Diane (HBO, 2011), Girlhood (Wellspring, 2003), and as producer Street Fight (PBS, Oscar Nominated, 2005), Ghosts of Abu Ghraib (HBO, Emmy for Best Doc, 2007), and Killing in the Name (HBO, Oscar nominated, 2010).